It's a common belief that whoever heads the Barclays Premier League on Christmas Day goes on to become the winners. Chelsea headed the table on the festive day. But come 2015, it's never been so close. Two contrasting match-results on January 1 saw Chelsea and Manchester City locking horns at 46 points apiece and there is nothing to separate the two, both having identical goal differences. Beginning 2015, Chelsea is still placed a little higher on odds to take the title at 8/13 compared to Man City's 13/8. About a month ago there seemed nothing to be in sight to stop the Blues. Buoyed by a flawless Champions League performance, where they won all their 6 group-stage matches, Jose Mourinho's boys romped unchallenged to the top of the Barclays Premier League, too. But things didn't look so sure in 2014 end. The 8-point advantage Chelsea had over Manchester City on November 22 just evaporated. A 1-1 draw against a dour Southampton was a bad signing off for 2014. The New Year couldn't have taken off on a worse note. The dreaded Diego Costa & co. attack quickly became a thing of the past as the Blues were shocked to the core by a 3-5 defeat handed down at White Hart Lane by the Spurs, a team that had never beaten Chelsea in their last 10 encounters. The picture of Man City had meanwhile begun to take a better look. Although they would have liked 2014 to end on a better note - a 2-2 draw against minions Burnley, 2015 saw them take off to a much better start than their Stamford Bridge rivals with a 3-2 win over Sunderland at the Etihad. 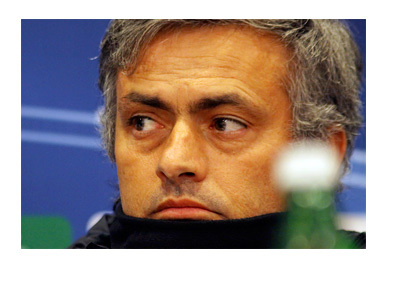 The problem with Jose Mourinho's men is they have squandered matches where they should have come out on top. Their inability to hold onto leads of late has been a source of concern. Apart from the Tottenham shock, they could have killed off a City down to 10 men and allowed United to score a late equalizer - valuable points lost in all these outings. More worrying is their over-dependence on players like Costa, Hazard, Fabregas and Matic. The blow to Chelsea should any one of them get injured is difficult to comprehend. Take Eden Hazard alone for example and why he is irreplaceable. The mercurial young Belgian has contributed to as many as 23 goals with 12 assists. Compare this to the combined figure of the Mikel-Ramirez duo - 17 goals and 10 assists. Historically, Chelsea has performed poorly in the winter months of December and January. A record check from the 2008-2009 season till now shows them losing 20 matches and drawing 26, a mediocre 49% success ratio. Although the Blues never looked so formidable in any previous season, they better keep an eye on this piece of statistic. Slip-ups against teams they surely ought to beat is something they shouldn't let happen. They find themselves in enviable position of challenging in all 4 competitions, a rare feat for a British team. But this again puts enormous pressure on them, both mentally and physically. Manchester City, on the other hand, has a history of clawing back to the top of Barclays League tables after initial setbacks. If the odds are correct, City should exit from the Round of 16 in the Champions League, where they face Lionel Messi and Barcelona FC. This should enable them to focus wholly on the EPL especially in the latter stages of the League and they have sufficient talent in their ranks to pose a serious threat to a potentially tired Chelsea side. But such has been the aura created by Jose Mourinho's boys this season that even fans of Man City have begun to believe that it will be Chelsea who will go all the way in the EPL. Yes, with the kind of the firepower and ability at their disposal the Blues could be destined for a period of glory and greatness.